Sergeant Ron Helus, a 29-year veteran, was one of the responders to the scene of the Thousand Oaks bar shooting who died at the scene. 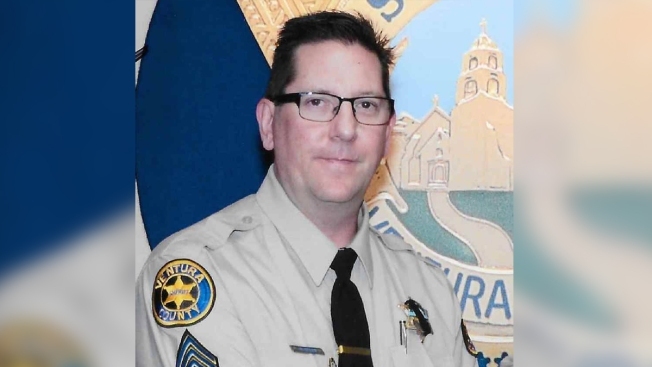 Sergeant Ron Helus of the Ventura County Sheriff’s Office, one of the first officers to enter the Southern California bar where a gunman opened fire on revelers attending a weekly college night event, is being hailed as a hero after his death. Ventura County Sheriff Geoff Dean said Helus was struck multiple times by gunfire as he confronted the shooter. The sheriff said a highway patrolman pulled out Helus and waited for a SWAT team as scores of other officers converged on the Borderline Bar & Grill in Thousand Oaks. By the time they entered the bar again, the gunfire had stopped, and they found 12 people dead inside, including the gunman. He says Helus was later declared dead at a hospital. Community Lines Streets to Pay Respects to Fallen Sheriff's Sgt. People lined the streets and freeway overpasses as Sheriff Sgt. Ron Helus was transported from Los Robles Hospital to the Ventura County Medical Examiner's office. Helus was killed while responding to a shooting at Borderline Bar & Grill in Thousand Oaks, Calif.
"He was willing to sacrifice his life to save others," Dean said in an interview with NBC's "Today" show. "He ran into danger, he didn't walk. He ran into danger hoping that he might be able to save someone else's life. And he made the ultimate sacrifice, but he did it as a hero." Helus was a 29-year veteran of the sheriff’s department and was about a year away from retirement, Dean said. Helus, of Moorpark, leaves a wife and son. "I told his wife he died a hero," Dean said, choking back tears. "He went in to save lives, to save people." The sheriff said Helus was a longtime friend and his gym partner. Dean described Helus as hardworking and a dedicated sheriff’s sergeant. "He was totally committed. He gave his all. And tonight, he died a hero," Dean said at an early morning news conference. "There is just no way to describe this. It saddens us all and it tears at our hearts," he added. The loss of the devoted sergeant led to a community outpouring of grief and support during a 25-mile procession that transported his body from the hospital to the county coroner's office. 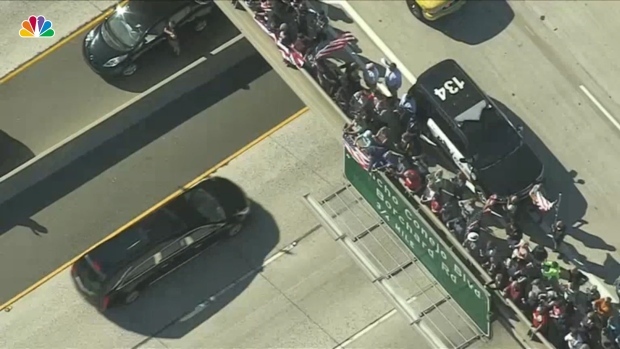 Residents, firefighters and other law enforcement officers lined streets and stood in salute on overpasses along the 101 Freeway as the motorcade passed. Firefighters also honored Helus with a giant U.S. flag draped between the towering ladders extended from two fire engines outside the hospital. The shooting began about 11:15 p.m. at the Borderline Bar & Grill, said Capt. Garo Karedjian, a spokesman for the Ventura County Sheriff's Office. Authorities said the hooded gunman, wearing all black with his face partly covered, deployed a smoke device and used a handgun when he opened fire on the crowd. Many of the attendees came from local colleges such as Pepperdine, Moorpark and Cal State Channel Islands. Terrified revelers used barstools to break through windows and jump to safety to escape the dance bar while others ducked under tables to dodge the fusillade. "It's a horrific scene in there," Dean said. "There's blood everywhere." Sgt. Helus and a passing highway patrolman were responding to several 911 calls when they arrived at the dance bar at about 11:20 p.m., the Sheriff Dean said. They heard gunfire and went inside. Helus was shot and killed. 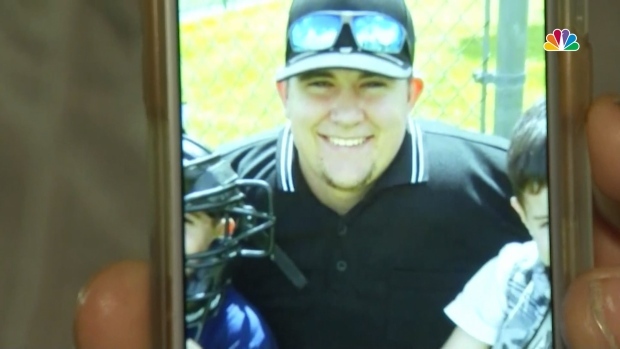 Dean said Helus was on the phone with his wife, “as he does several times during a shift,” when he received the call to respond to the shooting. "He said to her 'hey, I gotta go handle a call. I love you. I'll talk to you later,'" Dean said. Helus had a firearms training business in Ventura County. According to his website, Helus was an FBI certified instructor offering courses on how to use and maintain various types of guns and the laws for carrying in California. The 54-year-old was from West Hills, California, and studied at the University of Oklahoma, according to his personal Facebook page. He appeared to enjoy the outdoors, posting photos of fishing trips on the social media platform. On the site's "About" section, Helus includes the biblical quote from John 15:13: "No greater love can a man have than he who lays down his life for a friend." “We hope people who love Ron will find comfort in visiting his profile to remember and celebrate his life,” a message at the top of the Facebook page said Thursday. The dead in Wednesday's mass shooting included 11 people inside the bar and Helus. The gunman was identified as a 28-year-old former Marine who authorities believe killed himself. The massacre was the deadliest mass shooting in the United States since 17 classmates and teachers were gunned down at a Parkland, Florida, school nine months ago. It also came less than two weeks after a gunman killed 11 people at a synagogue in Pittsburgh, Pennsylvania. 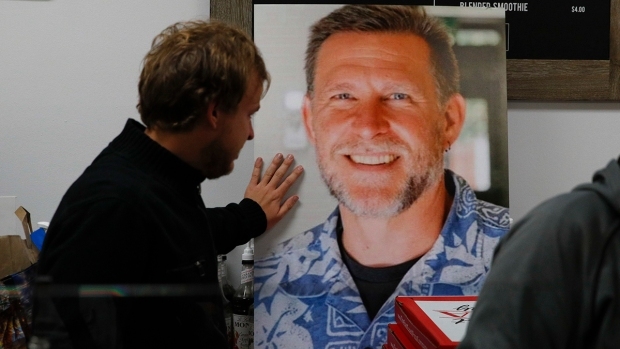 Jason Coffman was searching for his son, 22-year-old Cody Coffman, who friends said was at the Borderline Bar in Thousand Oaks, California, when a gunman opened fire. Cody was one of the 12 victims who died in the shooting.